Are you a fan of globally-inspired cuisine served in elegant style with a dash of Blues thrown your way? If so, Depot in Torrance is definitely the place for you. 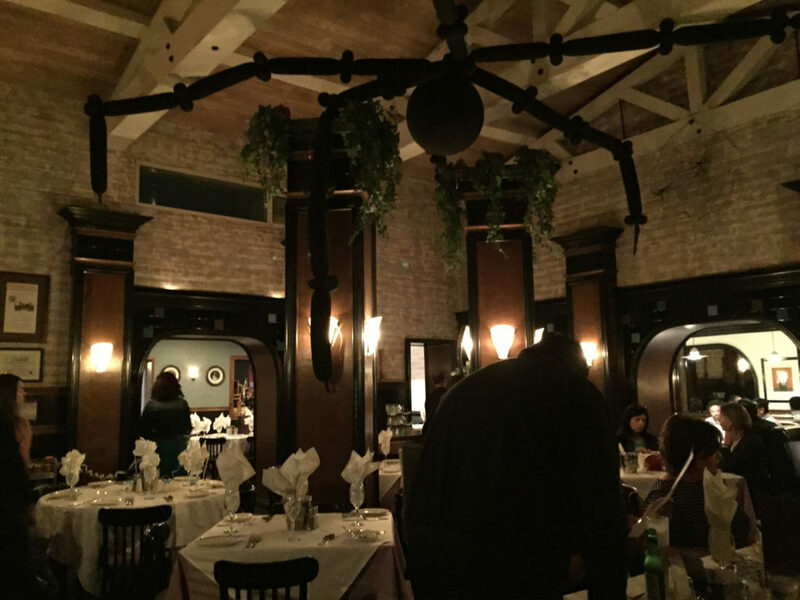 A fine dining establishment that includes eclectic tastes and an inspired chef, Depot does not disappoint. 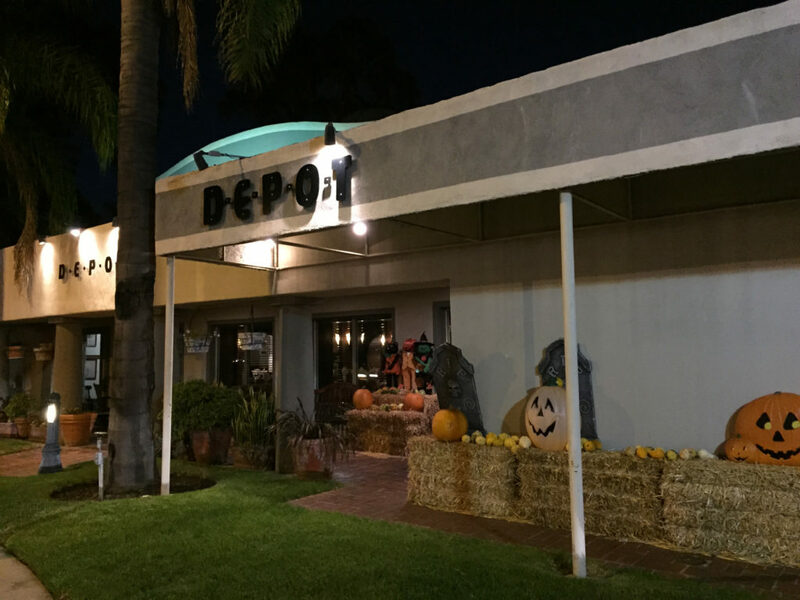 We rolled into Depot on a Wednesday night in late October (you’ll notice by the decorations on the outside and in the dining rooms) with the crew from Discover Torrance. I’m not quite sure I knew what “global” cuisine really meant before sitting down, but I soon discovered that it can lead to a menu that is diverse enough to pique the interest of any foodie. We were seated in a smaller secondary dining area, connected to the main room, as well as a private room that is often used for business presentations, meetings and training sessions (if our staff meetings had been held at a place like this, I might not have quite that job!). Each room is elegantly appointed (even with the Halloween decorations). The rich woods, deep colors and exposed brick seem to signal the sensory experience that was about it hit – this is not your average dinner spot (though I’d be perfectly happy to eat here every night of the week). Before we started, we were thrilled to get a chance to meet the man behind it all: Chef Michael Shafer. Not only a gifted chef, he’s also a savvy businessman – savvy enough to take a look at Torrance in 1991 and see the need for fine dining. The restaurant, a converted railway building, stood across the street from a downscale motel and a parking lot. He used to have a guard in the restaurant’s lot. Now, of course, Cabrillo Avenue is filled with upscale restaurants and shops, but then people probably thought it was quite a leap – it was a leap that has certainly paid off! 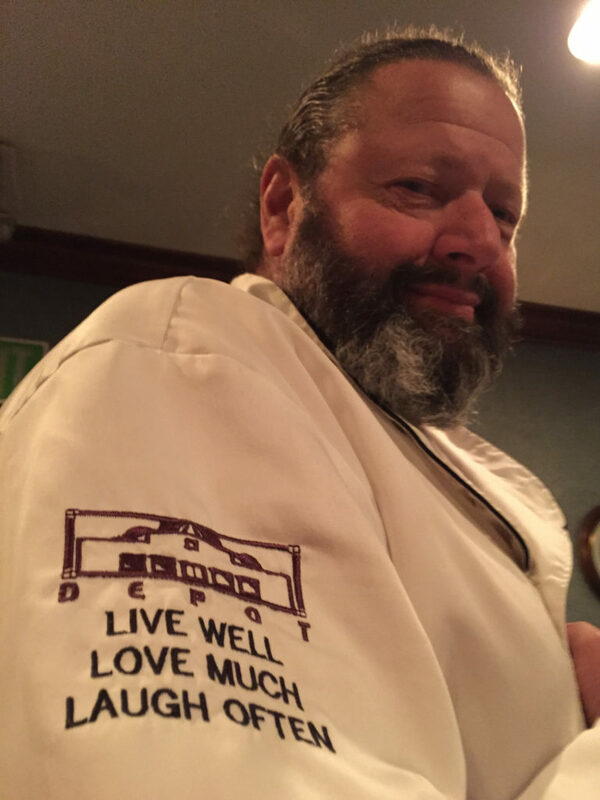 Swift with a joke, and full of information, Chef’s experiences have informed his culinary creations. Having worked across Europe, those lessons and recipes have been incorporated into the food here. But more than that, he has a passion for the things he dedicates his time to: cooking, mentoring underprivileged kids and playing The Blues. This is someone you would love to sit down with over a seven-course meal. He could regale you with stories (he “cheffed” on The Love Boat, wanted to be an art teacher and is an ordained minister), while making your mouth water with every anticipated bite. 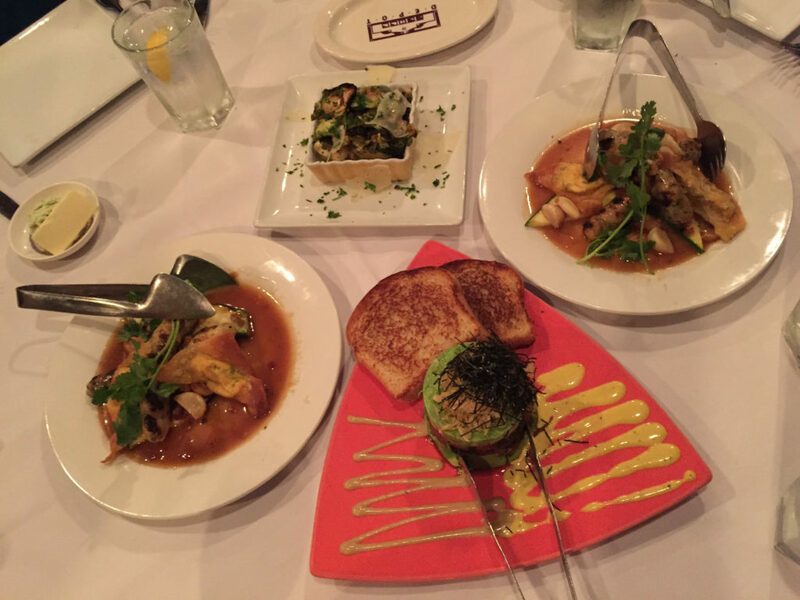 We began with an array of appetizers ranging from rock shrimp sausage to Ahi to brussel sprouts mixed with almonds and mission figs. Our gang made quick work of it all while listening to a mix of Blues (of course) and Sinatra. From there, each of us decided to order individual menu items. It really is quite a mix from seafood kabapotto dishes to lamp chops to pasta choices to steak “primal” cuts. I went straight for the Angel Hair pasta with gorgonzola cheese. 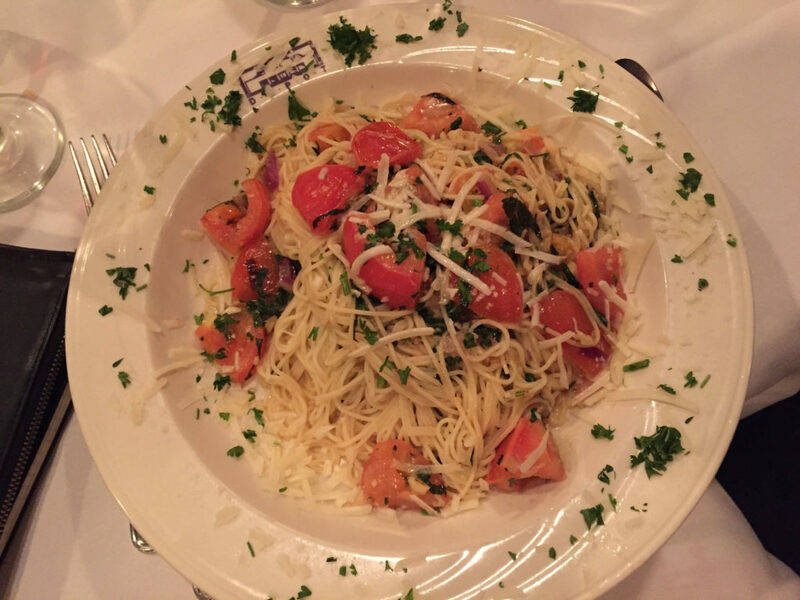 It was delicious – the pasta was perfectly done (and I’m very picky when it comes to angel hair). 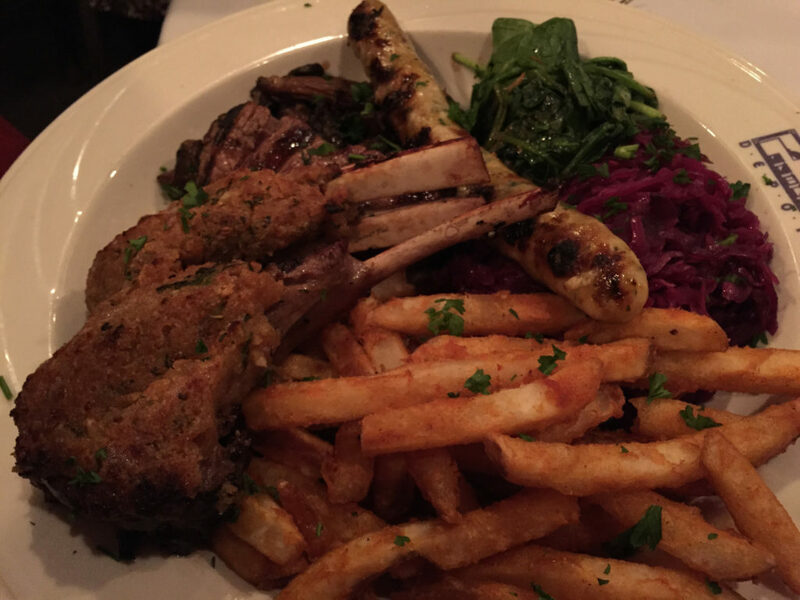 Andy went for the Big Cat Mix – mustard-crusted lamb chops, a petit fillet, rock shrimp sausage and fries. He loved every bite, and I have to say that I found the lamp chops to be particularly flavorful (because, of course, I had to at least try some of his). Just as I thought I couldn’t eat another bite, the dessert course was brought to our table. Well, I can’t say no to that – I don’t even want to try to say no. First, I’ve never seen a banana cream pie quite like this – in fact, I thought I’d misheard the name. But wow! 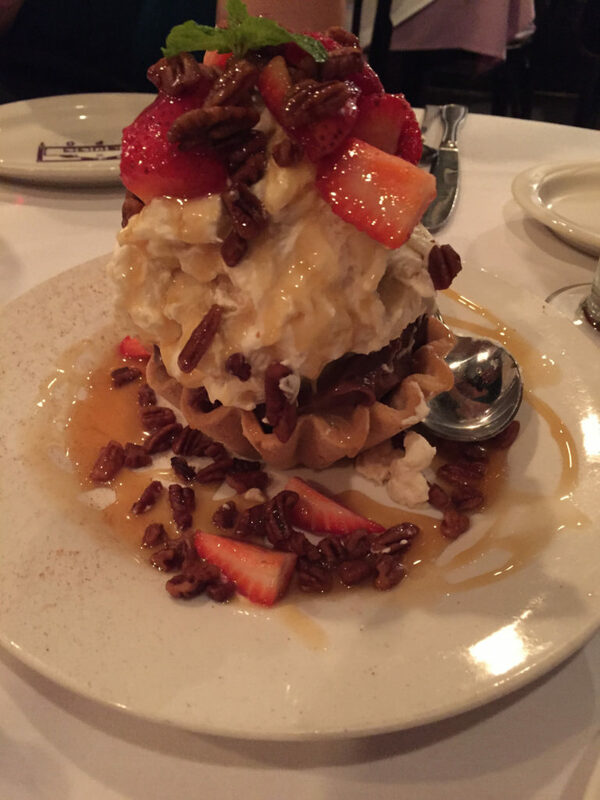 It’s an incredible sweet treat. 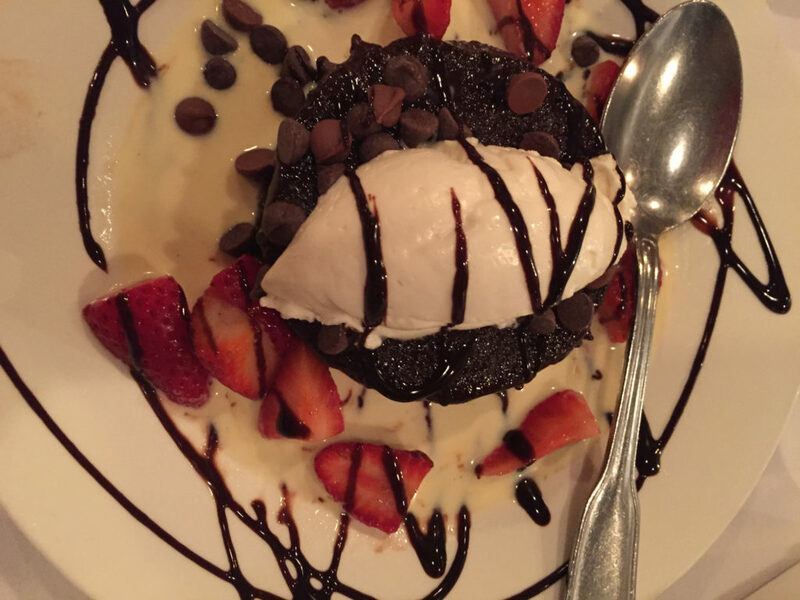 The hot fudge brownie was decadently rich, and if you could bring me some right now, I’d be perfectly okay with that. 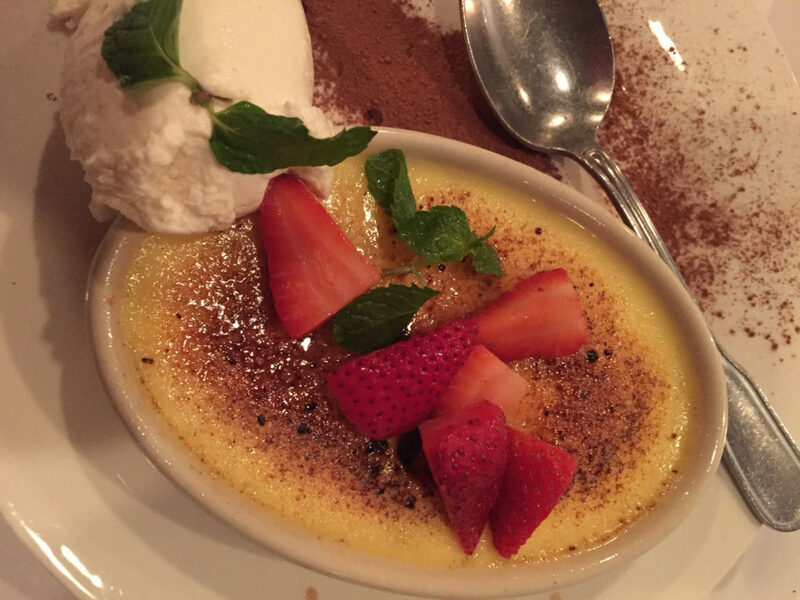 The crème brulee was creamy, crispy and oh so perfect. 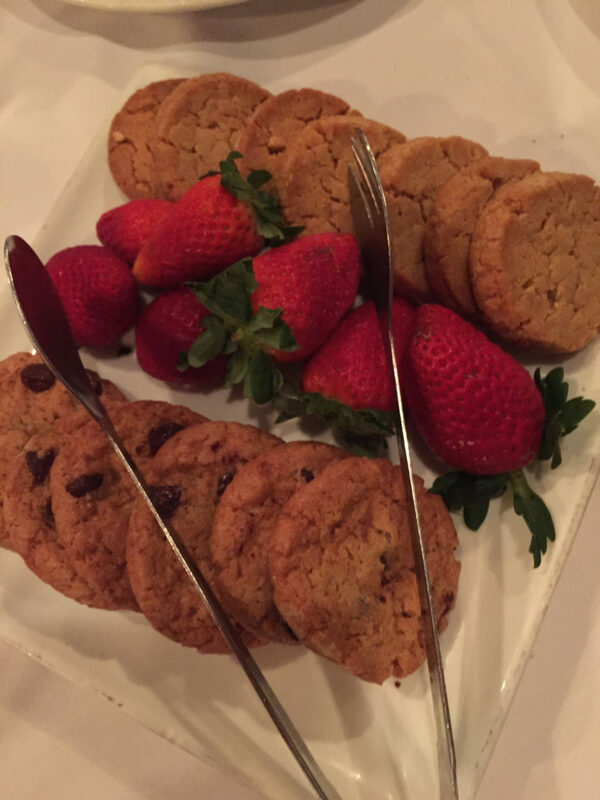 We even got a chance to grab a couple of freshly made cookies in case we wanted a snack back at the hotel (and believe me, we did). Eating at Depot was a fascinating experience. More than just excellent food (though it is that), there is an atmosphere there that will lure you back for more. It’s perfect for business dinners, celebrations and romantic nights out. But it’s a place where you want to take your time. Don’t make plans to rush in, shovel in the food and then jump back into traffic. 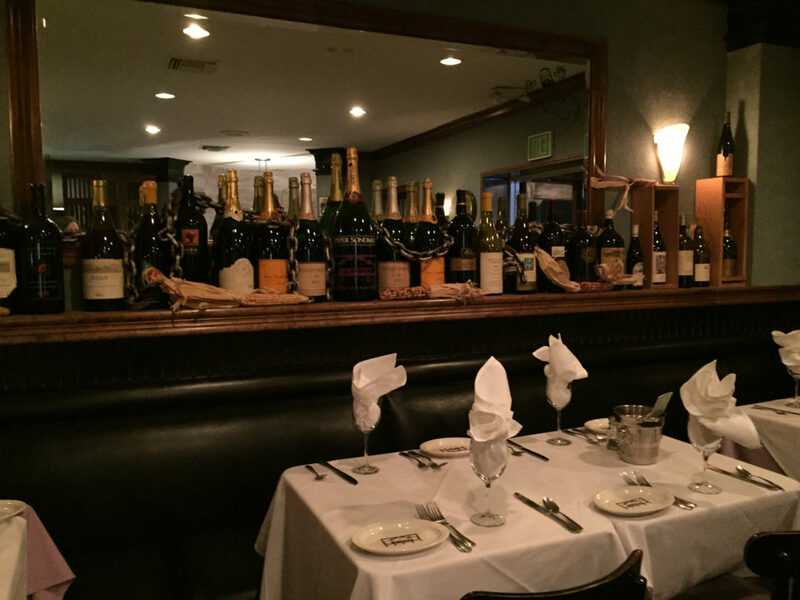 This is a place to be savored – from the food, to the ambiance, to the wine to chats with Chef. Luxuriate in it before going back to real life. Depot can be found at 1250 Cabrillo Avenue, Torrance, California 90501. It’s closed on Sundays. Our visit to Depot was part of a sponsored, scheduled press trip through Discover Torrance. All expressed opinions are my own, and that of ThoseSomedayGoals.com.